EIM M2CP actuators were introduced in 1979 as the Series 2000 electric valve actuator. Since that time, the model has added increasingly sophisticated control capabilities—but retained all the mechanical strengths that have established its three decade record of reliability. As a result, many parts can interchange across the entire M2CP/Series 2000 range, and upgrades are remarkably easy to retrofit. The robust mechanical design of the M2CP is evident in its ductile iron gear case, bronze worm gear, and heat-treated alloy steel worm and modular control packages. For more information, visit https://flowcontrol.processcontrolsolutions.com/products/suppliers/eim-actuators/ or call (800) 462-5769. This guide represents the chemical resistance of the raw materials used to manufacture products by the Hy-Lok Corporation. In general, media characteristics like temperature fluctuation, concentration, high velocity and abrasion will affect corrosion rating. Before applying this guide, many factors that may affect the compatibility ratings should be considered, and users should test under their own operating conditions to determine which materials can be used. The Fluid Compatibility Guide provides a rating of compatibility of common metals and elastomers to various chemicals and compounds found in industry. The Hy-Lok Corporation Guide contains data assembled from a variety of sources within the metal and chemical industry. However, due to variations in each user application, we do not make any direct or implied warranty as to any specific use or application based upon the performance of any material in this guide. This guide is for reference only and Hy-Lok Corporation is not responsible for the accuracy of the information therein. 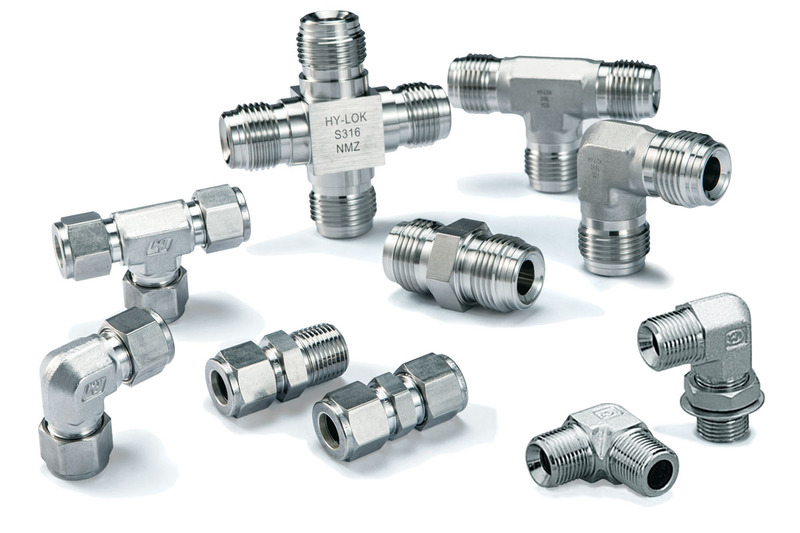 For more information on Hy-Lok fittings, visit Process Control Solutions here. The Piping & Instrumentation Diagrams (P&ID), or sometimes called Process and Control Flow Diagrams, are schematic representations of a process control system, used to illustrate the piping system, process flow, installed equipment, instrumentation, and functional relationships among all the system components. 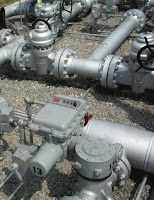 They provide information that include component identification how instruments are connected where instruments are located and their function within a process and intended to provide a comprehensive picture of all piping and associated hardware, including physical branches, valves, equipment, instrumentation and interlocks. The P&ID employs a set of standard symbols representing each component of the system such as instruments, piping, motors, pumps, etc. The use of standard symbols provides a universal depiction that can be read and understood by operators, technicians, outside contractors, and other similarly trained individuals. P&ID’s can be very detailed and are generally the primary source from where instrument and equipment lists are generated, also being a very handy reference for maintenance and upgrades. P&ID diagrams assists technicians when troubleshooting and monitoring specific processes. They also play an important early role in safety planning by enabling an understanding of the operating states and relationships of all components in the system.